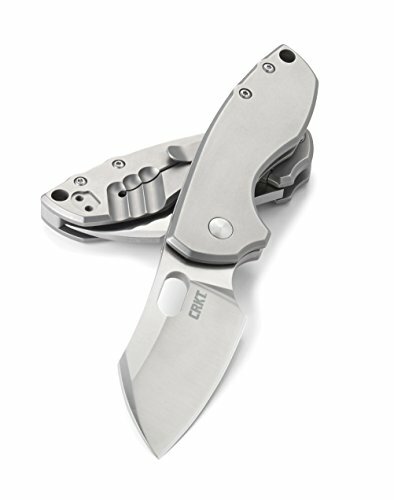 The Pilar is a super compact everyday carry folder with distinctive minimalist design and an epic tale behind its name. It’s low profile and understated when tucked away, and carefully designed to punch above its weight when in use. Jesper Voxnaes designed the Pilar in his Logstrup, Denmark shop, and named it after Ernest Hemingway’s beloved boat—the 38-foot long vessel that he used for renegade surveillance of German U-boats during WWII in Caribbean waters. The world-famous author was also a WWI combat vet, big-game hunter, sailor, and fisherman, and certainly would have selected an everyday knife companion like the Pilar for his daily endeavors. If you have any questions about this product by Columbia River Knife & Tool, contact us by completing and submitting the form below. If you are looking for a specif part number, please include it with your message.